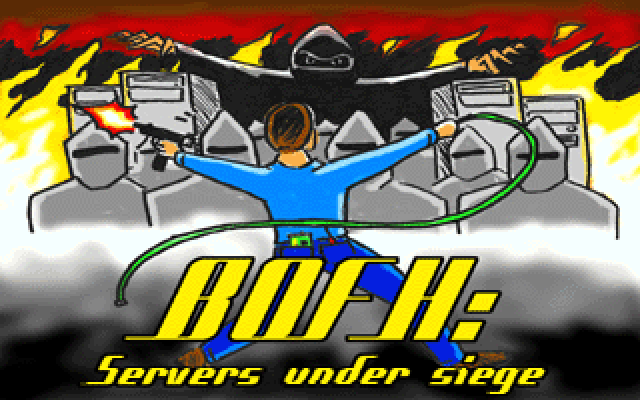 BOFH is a top-down shooter that takes place in a school. 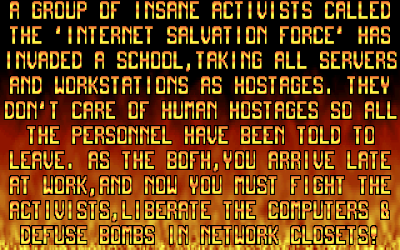 You're a mean administrator and have to shoot bad guys, take their weapons and disarm bombs attached to server stacks by finding notes that tell you in what order to cut the wires! 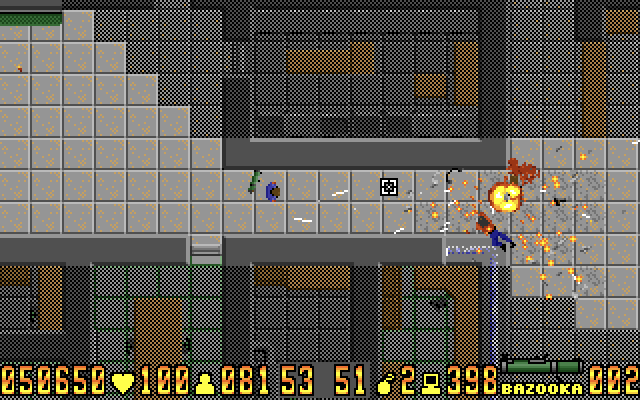 Now this might sound overly simple, but the enemy AI make the mindless shooting interesting enough by reacting to gunshots sounds and having non-naive movement patterns. I haven't progressed too far in the game so far, so I can only say that there is a new enemy type on a higher building floor, maybe there's even more, probably at least a boss battle. Music and sounds are just excellent, although I sometimes wish there was more than one in-game track. 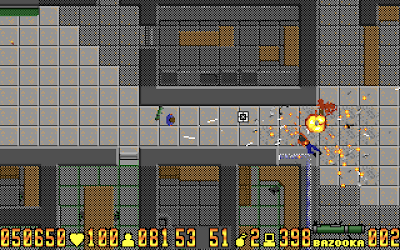 The game was originally (.exe here) made for c64 and then ported to PC. I tested neuromancer's version which contains fixes and compiles with no problems on my Linux flavor of choice. Forks (and suggestions) are welcome by the way, besides new maps and objects it might be nice to have alternative resolutions (via scaling) implemented and also having the flickering gray shadows fixed. Sign of a good game: the plot is no more than one screen long! 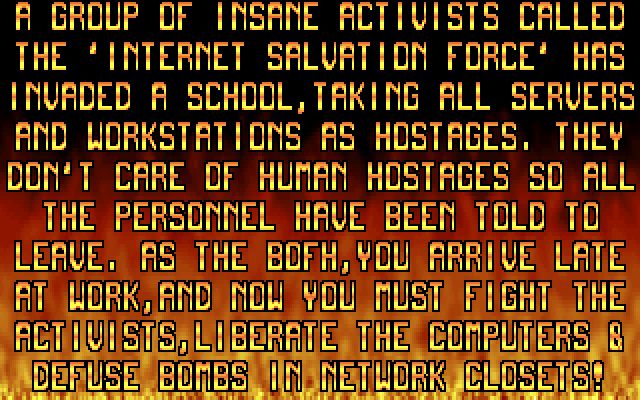 Besides the 'save the servers' scenario, there is a mini level in which you just have to clear a room of computers. Along with workstation computers, glass is also destructible (and their shards hurt the player and enemies). A level editor allows easy to learn level creation. If you come up with a cool new level, let us know via comment or forum thread! I'll do the same. Here is the complete editor documentation in one screen. 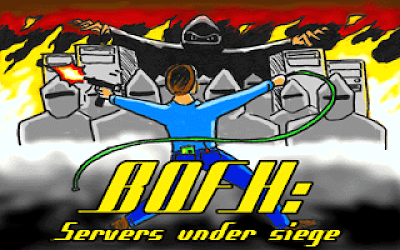 If you like BOFH, Shotgun Debugger most likely will suit your taste as well! And remember... It's always the blue wire first!